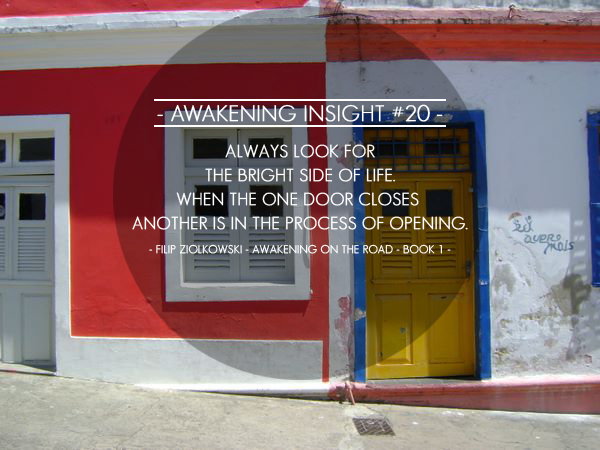 AWAKENING INSIGHT #20 Always look for the bright side of life. When the one door closes another is in the process of opening. Always look for the bright side of life. 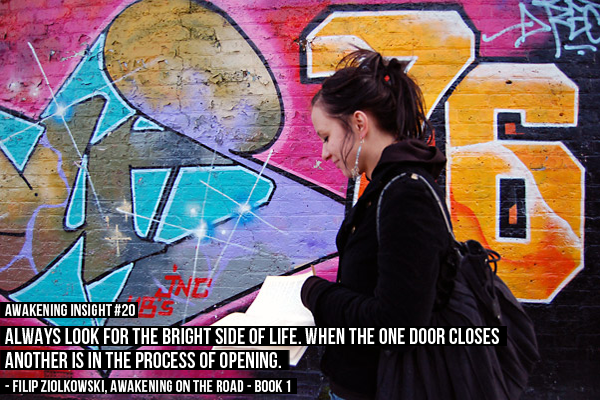 When the one door closes another is in the process of opening.